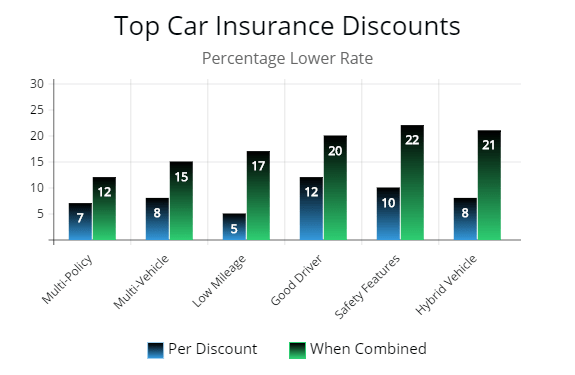 If you are a driver with a pretty decent driving history, you are going to find the least expensive auto insurance in Utah with Bear River, Allstate, and Auto-Owners. On average all three carriers can offer quotes from 16% to 24% lower than the median rate for drivers of similar age and profile. Other carriers you should put on your list for quotes are Farm Bureau Mutual and American Family. Farm Bureau Mutual is on the list, though they have a $65 membership fee, the extra fee is probably worth the lower premium costs. Depending on the city you reside, both carriers can offer quotes from 15% to 22% lower than the average premium for similar age drivers. If you are military or former your best option is probably with USAA. In this article, I am going to cover inexpensive insurers by price, the minimum coverage requirements, and a few cost-savings tips to help you lower your premium. Utah law requires each driver with a registered vehicle who is a resident of the state to maintain minimum coverage. The reason is, if you are in an accident, your insurer would be able to pay-out for damages. The amount is $25,000 per person and a maximum of $65,000 for two or more persons concerned in an auto accident. Set at a minimum amount of $15,000 for damage to property, public and private, such as guard rails, traffic signs, or a persons mail box the other driver’s automobile. When you are comparing quotes you will see the numbers like this: 25/65/15 which are always represented in thousands as mentioned previously. Utah is a “no-fault” state which means each vehicle owner’s insurance will cover their medical expense or vehicle damage no matter who is to blame for the accident. The purpose of Utah being a no-fault state is to reduce the amount of court filed claims and lawsuits from drivers which in turn helps drive down insurance costs. Since Utah is a no-fault state, Personal Injury Protection or (PIP) insurance is required for all drivers. PIP coverage will cover medical expenses of the insured driver. In Utah, if you have a health insurance plan, you can opt to get the minimum PIP coverage which is $3,000. There is optional coverage you can get which are comprehensive, collision, uninsured motorist protection, and underinsured motorist protection. Since Utah, like most states, has a significant number of uninsured motorists it is recommended to carry uninsured/underinsured motorist protection or (UM). It it important to know that Utah has a comparative negligence law which means both drivers can be at-fault during the accident. Under this law you can collect damages only if you are less than fifty percent “at-fault” during the accident. When the insurers determine who is less than fifty percent at-fault that person can collect for damages. The three cheapest carriers by price in Utah are Bear River, USAA, and Allstate. For drivers who do not qualify for USAA, the next best option would be Auto-Owners. There is one insurer which I would like to give an honorable mention which is Farm Bureau Mutual. They are more expensive compared to other carriers in the list, Farm Bureau did quite well when I queried for quotes for cities as you will see below in the details. The reason for a higher price is the membership fee required by them. If you are in the market for savings any of the top carriers, such as Allstate, GEICO, etc, are going to offer a competitive quote. For local companies then you would want to add Bear River and Farm Bureau Mutual to your list of options. It is important to note that Farm Bureau Mutual requires a membership fee of $65 per year. Both of them are offering quotes over 20% lower than average for local regions in Utah. The graph below illustration the savings with insurance discounts. When combined you are able to get 20 percent reduction of your auto premium. Below are the best companies by the amount of written premiums, rate change over a 12 to 18 month period, complaints, and consumer rating for each. The rate change is included since many carriers do raise your rates slightly year over year. However, if you get a traffic violation your rates can spike significantly. The amount of complaints is related to the amount of written premiums. A company with a higher amount of written premiums, there is an obviously likelihood for more complaints. Out of the 20 carriers in this study there is nothing out of the norm for either the amount complaints based compared to the amount of written premiums. Neither is anything alarming for the nominal rate hike. The consumer ratings are taken as an average from JD Power & Associates, AM Best, and other reputable online portals. Typically, the top carriers have a higher consumer rating. The local or regional carriers may have a slightly lower rating. This is normal and shouldn’t be a reason for not doing business with them. You want to be sure to compare at least three or more quotes from insurers since each one has their own method of determining risk. Although it is basically the same, each insurer will weigh a determining factor, such as driver history, differently dependent on the company. The average amount for a yearly policy in the state of Utah is approximately $1,245. Be sure to comparison shop to find the lowest rate possible. Below is a list of 40 cities in Utah and the average premium by price for a 30 year old female driver. The price of a premium varied from $815 to over $1,200 per yer depending on the city or zip code you reside in. Based on the quotes from the cities, the least expensive are Bear River Mutual, Allstate, and Farm Bureau Mutual. If your quotes are higher than those listed below than you may have something on your traffic record, a low credit score, lapse in a policy, or a number of other items which may increase your premium. If you would like a detailed comparison of cities by price in the state of Utah please read further below. For the least expensive premium price in Salt Lake City, drivers should start by getting quotes from Bear River, Farm Bureau Mutual, and Allstate. I queried each at $878, $925, and $956 per year for a 30 year old driver. Which is 16% to 23% lower than the median rate of $1,123 for drivers in Salt Lake. All carriers illustrated are at least 5% lower than the the “mean” rate for 30 year old drivers. A 45 year old can get low quotes with Bear River and Farm Bureau Mutual. Each queried at $630 and $645 respectfully per year for full coverage. Which is 22% lower than the median quote for similar age drivers in Salt Lake. In the illustrations, only one neared the average quote, which is American Family at $768. Salt Lake City is the largest city and the capital of the state of Utah. Salt Lake Valley was originally settled by Native Americans who lived in the valley for thousands of years prior to the arrival of European settlers. In 1847, Salt Lake City was founded by Brigham Young and members of the Church of Jesus Christ of Latter-Day Saints which the city is popularly known for. From the 1850’s to the early 1900’s, the city experienced rapid growth from approximately 6,000 residents to over 100,000. As of the 1990’s growth has slowed. Today, there are nearly 200,000 people in Salt Lake City and over 1 million in the metropolitan area. Drivers in Ogden can get the cheapest quotes from Bear River, Farm Bureau Mutual, and Progressive. I queried each at $880, $934, and $956 per year for a 30 year old driver. Which is 17% to 24% lower than the average premium price of $1,145 per year in Ogden. In fact, all of the carriers illustrated are below the median quote and would be worthwhile to get quotes from. A 45 year old can get the best prices with Bear River, Farm Bureau Mutual, and Progressive. Each queried at $622, $654, and $659 per year for full coverage. Or over 22% lower than the median premium price for drivers of similar age and profile. If you are in the market for a cheap premium it would be smart to get quotes from all insurers illustrated to find the most savings while maximizing coverage. Ogden is the 7th largest city in the state with approximately 85,000 residents. The area was originally known as Fort Buenaventura. In 1846, the settlement was founded by a trapper named Miles Goodyear. The following year Mormon settlers bought Fort Buenaventura. Ogden served as a major railway hub throughout much of its history and still is today. Drivers in St. George can get the cheapest auto insurance by getting quotes from Bear River Mutual, Allstate, and Farm Bureau Mutual. I queried each at $878, $938, and $965 respectfully for a 30 year old driver. Which is 16% to 24% lower than the median rate of $1,209 for St. George drivers. All of the carriers illustrated are lower than the median rate making any of them good contenders to get quotes for comparison. A 45 year old can get the least expensive premium by getting quotes from Bear River, Allstate, and Farm Bureau Mutual. Each queried at $630, $654, and $680 respectfully per year for full coverage. Or 19% to 25% lower than the “mean” quote for drivers of similar age and profile. Only one spiked above the average quote, American Family, but still a good company to get quotes from since discounts may lower your premium into a cheaper range. St. George was founded as a cotton mission in 1861 under the direction of Apostle Erastus Snow. In 1862, the city was incorporated and named in honor of George A. Smith, a leader of The Church of Jesus Christ of Latter-Day Saints. The Mormon Temple in St. George was completed in 1877 making it the third temple established by the church. Today, St. George is one of the largest cities in the state with 80,000 residents and over 150,000 in the metropolitan area. Provo’s average premium cost approximately $1,067 per year for a 30 year old driver. If you want to find rates 20% cheaper then start with Farm Bureau, Bear River Mutual, and Allstate. I queried each at $850, $880, and $932 per year for a 30 year old. Which is 13% to 20% lower than the median rate in Provo. Most of the insurers clustered around $850 to $1,000. And one, American Family, spiked above the median rate. A 45 year old can get the least expensive quotes with Farm Bureau and Bear River Mutual. I queried each at $611 and $643 per year for full coverage. Or each approximately 18% to 25% lower than the average premium for a driver of similar age and profile. There is a variance of $214 from the lowest to higher illustrated carrier or over 25% difference. Making it vital to compare quotes to find the most savings while optimizing coverage. Settled by Mormons in the late 1840’s, Provo soon came to be known as the “Garden City” due to its substantial assortment of trees, fruit orchards, and gardens. In 1875 was the founding of Brigham Young Academy, later to evolve into Brigham Young University (BYU), the largest church-affiliated university in the nation. Today, Provo is known for high-technology start ups. Drivers in Logan can get cheap coverage for their automobile if they get quotes from Bear River, Farm Bureau Mutual, and Progressive. I queried each at $878, $911, and $943 per year for a 30 year old driver. Which is 16% to 22% lower than the average premium for drivers in Logan. In fact, any of the carriers illustrated are worth getting quotes from since even the highest quote is 6% lower than the median rate. A 45 year old should get quotes from Bear River and Farm Bureau Mutual. I queried each at $646 and $656 respectfully per year for full coverage. Or nearly 21% lower than the median rate for drivers of similar age and profile. Compared to other cities the variance among the lowest to higher carriers illustrated is less. Only $165 from the lowest to highest, but a significant amount. Making it important to compare quotes for savings when shopping for a good deal on a policy. The city of Logan was founded by the Mormon settlers in 1859. The Logan Temple was dedicated in 1884. The city was given its name after Ephraim Logan, an early fur trapper in the Cache Valley. It is commonly known as “College Town” as it houses the main campus of Utah State University. There are approximately 25,000 students attending USU each year. Today, there are nearly 50,000 people in Logan, Utah which is expecting the population to double by year 2050. Park City drivers can get the cheapest premium by getting quotes from Bear River Mutual, Progressive, and Farm Bureau Mutual. I queried each at $870, $878, and $932 per year for a 30 year old driver. Which is 15% to 24% lower than the average premium for drivers of similar age and profile. Most of the carriers illustrated clustered in the $870 to $1,050 range. However, there was an increase with American Family at $1,127. American Family is below the median rate however. A 45 year old can get low quotes with Bear River, Progressive, and Farm Bureau Mutual. Each queried at $650, $660, and $690 per year for full coverage. Or over 20% lower than the median rate for drivers in Park City. There is a variance of $177 among the lowest and highest price insurers or over 21%. Making it important to compare quotes to get the maximum savings. Park City was one of the few Utah towns established by non-Mormons in 1870. During the mining boom, 27 saloons existed on Park City’s Main Street to satisfy the thirsty needs of miners. This rebellious streak continues today, with Park City home to over 100 bars and restaurants. Today, there is approximately 9,000 residents. However, the tourism industry is huge and is much larger than the actual amount of residents. Drivers in Moab can get low premium prices if they get quotes from Bear River, Farm Bureau, and Progressive. I queried each at $844, $876, and $900 per year for a 30 year old. Which is 20% to 26% lower than the median rate for drivers of similar age and profile in Moab. All of the carriers illustrated are over 11% lower than the median rate making all of insurers worthwhile to get quotes from. A 45 year old can get the best prices with Bear River and Farm Bureau Mutual. Each queried at a cheap rate of $630 and $633 per year for full coverage. Or more than 24% lower than the median rate for 45 year old drivers. In fact, there is a $169 variance among the lowest and highest carriers or 28% difference making it vital to compare quotes for the most savings while maintaining the same amount of coverage. Moab is a community in Utah with approximately 5,000 residents. However, the amount of tourism yearly spikes the amount of visitors and residents to over 20,000 at any given time. Many visitors are attracted to Moab via nearby Arches and Canyonlands national parks. There are some of the most breathtaking views within the national parks. Visitors from around the nation and the world come to Moab for hiking and mountain biking. One of the top spots for mountain bikers is Slickrock Trail. The annual Moab Jeep Safari attracts thousands of visitors each year too. Residents of Orem an get cheap auto insurance if they get quotes from Bear River, Allstate, and Farm Bureau Mutual. I queried each at $858, $897, and $923 per year for a 30 year old driver. Which is 23% to 28% lower than the median rate for drivers of similar age and profile. Only one carrier spiked above, but still below the median quote, which is American Family. A 45 year old can get the least expensive quotes with Bear River Mutual and Allstate. I queried each at $622 and $658 per year for full coverage. Or 19% to 26% lower then the “mean” rate for drivers about 45 years of age. However, there is a variance of $210 among the lowest and higher quoted carriers. Or well over 25% among them. Making it important to compare insurance quotes to find the percentage savings while shopping. Orem is the 5th largest city in the state of Utah with approximately 95,000 residents. Orem was originally known as Provo bench, and became incorporated in 1919. The city was named for Walter C. Orem, who was the President of the Salt Lake and Utah Electric Interurban Railroad. Orem has become a haven for internet startups. Two popular internet companies founded in the city are Word Perfect and Bluehost. Drivers in Sandy, Utah can get the cheapest premium by getting quotes from Bear River, Farm Bureau Mutual, and Progressive. I queried each at $876, $903, and $945 per year for a 30 year old. With quotes clustering under $1,000 for all but American Family any of the insurers are worth getting quotes from. Each of the carriers are nearly 16% lower them the median rate of $1,149. With Bear River Mutual 24% lower than the average quote and Farm Bureau 22% lower. A 45 year old can get affordable quotes with Bear River and Farm Bureau Mutual. Each queried at $638 and $667 per year for full coverage. Or approximately 22% to 25% lower than the “mean” quotes for drivers of similar age and profile in Sandy. Progressive and Allstate are competitive too with quotes at $700 and $713 respectfully. Sandy city is a suburb community within Salt Lake City with nearly 90,000 residents. Sandy was incorporated in 1893 with approximately 1,000 residents largely as part of an effort to combat what Mormon inhabitants considered “unsavory” elements in the town. Due to its mine-based beginnings, Sandy was somewhat of a boomtown, unlike the majority of other rural Utah towns. By 1900, there was only a handful of saloons and hotels, and Sandy began to more closely resemble other rural Utah towns. If you want the cheapest car insurance in Layton then get quotes from Bear River, Farm Bureau, and Progressive. I queried each at $855, $870, and $921 per year for a 30 year old driver. Which is 14% lower than the median rate for drivers of similar age and profile. Both Allstate and American Family spiked near the “mean” rate. However, that doesn’t mean to excluded them. Since discounts and other alternatives could bring the premium down to lower prices. A 45 year old can get the best prices with Bear River and Farm Bureau Mutual. Each queried at $624 and $665 respectfully per year for full coverage. Which is 21% to 25% lower than the “mean” quote for drivers 45 year of age approximately. Most of the carriers were near the $800 range on average making any of those illustrated in the table and graph worthwhile for any 45 year old driver in Layton looking for additional savings on their auto premium. Layton is the 9th most populous city in Utah with approximately 75,000 residents. The area was settled in the 1850’s. It was then an outgrowth of Kaysville. In 1868, Kaysville was officially incorporated as a city and Layton was included in the boundaries. However, by the 1880’s, most of the residents of Layton wanted to be separated from Kaysville. Layton became an unincorporated independent community in 1902 and was officially incorporated in 1920. At AutoInsureSavings we deliver auto insurance rates to you in less than a minute with the advance comparison tool at the top of the page. You are able to compare as many quotes as you wish, ask for a broker to give you a call, or chat with an agent online. Everything is set up for your convenience and it is free to find out if you could save forty percent or more on your premium.